Richard Gabriel has kindly allowed us to republish this article – thetubestore.com. In 1999, Spencer Reiss, one of the senior editors for Wired magazine, asked me to write a short essay having to do with the then-coming millennium. I wrote this essay for him – and he liked it – but he moved onto another job before he could publish it. See what you think of it. In grad school we joked about the research lab we’d start one day – its street address would be 2001 The Forward March of Science Boulevard in a town we would found called City of Research. Smart people with years of undergrad and grad schooling, research experience in several labs, studying at a premier school – Stanford – and we still thought that science and technology moved forward with each step, made more progress, made things better. Living in Silicon Valley, I’m awash in the totems and trophies of technology’s march: StarTAC’s and Pilots, titanium mountain bikes, and Kurzweil synths. Evolution, free-market capitalism, and high-tech press releases all share the same refrain: The next release is better – a fitter species, a worthier competitor, and a better OS. I don’t believe a word of it, and I’ve got an example. I have a kind of cellar – it’s really a closet in my garage; it’s dark and cool, rarely over 50 degrees, just slightly humid. And in that cellar I store vintage bottles – but they’re not full of wine; they’re clear hard glass envelopes full of thoriated-tungsten wires, graphite plates, and no air. Classical music is just fine, but I play rock ‘n’ roll. I play lead guitar in a band and I’ve been doing it for 20 years in the Valley. When I first started playing in bands back in 1965 all the musical instrument amplifiers used tubes – the move to silicon transistors was about to begin and germanium transistors were pretty funky. At that time I played organ: a big Hammond with a Leslie rotating speaker – all-tube machines both. The guitar players in my ’60s band had Fender and Vox tube amplifiers. By the early 1970s with the help of silicon, transistors had taken over the home stereo amplifier business – another step forward, another turn of the crank. Smaller, lower power, and more reliable, the transistor was supposed to be the next step in audio amplification and so must be better and easier to design for, right? Wrong. Sometime in the 1950s guitarists made a remarkable discovery about tube amplifiers: If you overload an amplification stage in a tube amplifier with a guitar signal, the sound took on the tone of a brassy woodwind. Suddenly the electric guitar could replace the saxophone as a lead instrument in rock ‘n’ roll music. Since then we’ve had a string of guitarists who defined what it means to play guitar: Eric Clapton, Jimi Hendrix, Eddie Van Halen, Stevie Ray Vaughan, and Jonny Lang. Even jazz guitarists use the musical instrument comprising an electric guitar and a tube amplifier. Tubes have a sound: Each type of tube sounds different, and the same tube types made by different manufacturers sound different. Gut and metal strings sound different on the violin, and violinists select strings to define their sound, and likewise guitarists select their tubes for sound. Transistor amps on a rock stage: as rare as a buggy whip on US101 in the heart of Silicon Valley. I recall the first time I tried a transistor guitar amplifier. There are three sorts of tone a rock guitar amp should have: clean, crunch, and overdriven. The transistor amp sounded fine clean – though a bit flat – and ok in crunch, but the overdriven sound was more like a framing saw ripping thin but dense plywood: unmusical sustain. As an instrument it lacked tone. And I wasn’t the only one to think so. Today, tube amplifiers dominate the musical instrument market, and there has been a 10% annual growth in demand for tubes since the early 1980s. Though the big American manufacturers stepped out of the business a while back, there are currently over a dozen tube manufacturers worldwide with two in the US. I’ve also tried the DSP-based effects boxes and amplifiers that try to simulate tube sound. These sound better than pure transistor amplifiers, but still they’re no match. We just don’t yet understand the nonlinear interactions of such nonlinear devices as tubes, output transformers, speakers, ears, and brains. 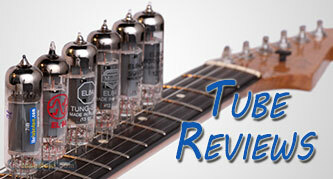 Tubes just sound better than solid state devices – warmer and more musical. If you want to find out the scientific reasons why, read the classic “Tubes Versus Transistors – Is There an Audible Difference?”, by Russell O. Hamm, Audio Engineering Society Journal, May 1973, Vol. 21 No. 4 (it’s on the Web a lot of places) and “The Cool Sound of Tubes” by Eric Barbour in IEEE Spectrum Magazine, August 1998. To the typical consumer, tubes are extinct, replaced outright and more by transistors, op amps, and ICs. Go to any audio shop except audiophile stores and all you can buy is solid-state equipment. Why? Reliability: Tubes can be finicky. They suffer from microphonics – vibration feedback. A good tube under heavy musical instrument amplifier use lasts only a year or two. On the other hand, transistors are susceptible to RF interference. Bulk: Tubes are large. The smallest ones are about 2 inches tall, the biggest audio tubes are about 6 inches tall. On the other hand, in many cases you need more transistors and a more complex design to do the same job as a simple single-tube design. Best performance in the modal case: Almost all the time in home use, amplifiers operate well within their linear range with total harmonic distortion under 1%. Solid state works fine here, and it’s difficult to measure any significant qualitative difference between transistors and tubes in the linear zone. Of course, transistor amps are linear because of their complicated use of negative feedback circuits which causes unmusical clipping when overdriven. Tubes dominating the guitar amp market might not sound like widespread use, but there’s more. The high-end audiophile market is moving back to tubes, led by the $30,000 Audio Research Reference 600 amplifier, and many high quality studio microphones and microphone preamplifiers use tubes. FM broadcast and radar transmitters use tubes. A significant fraction of high frequency communications satellite signals are sent by tubes and received (on satellites) by tubes because solid-state can’t handle these frequencies. Transistors are a step in the forward march of science, but not a step over the limp dead body of tubes. The tube is an icon of an aesthetic – the aesthetic of amplified guitar music. The transistor is the consumer electronics and digital firestorm – an important role, a different role, but neither a better nor worse role. Tubes aren’t dead, they’re just not in the news. I’m a broadcaster. I agree. 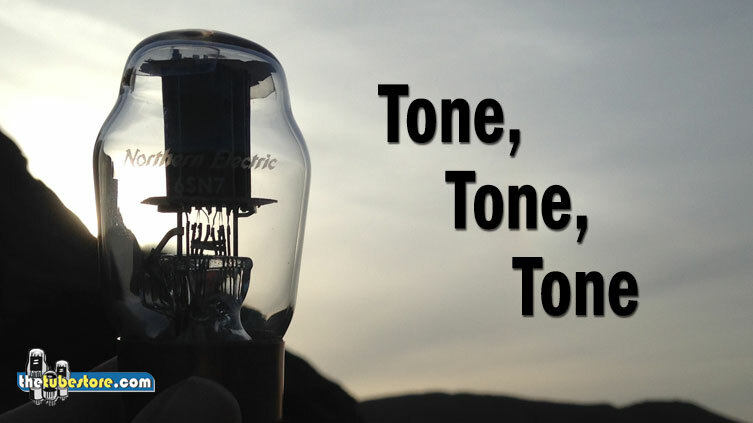 It’s all about your tone.